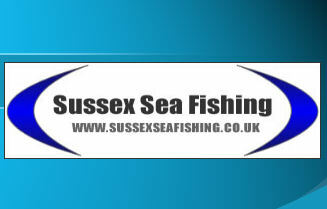 This page is dedicated to your reviews of products such as terminal tackle, rods, reels etc. Heres the boring bit: all views expressed on this page are of the individuals and not sussexseafishing. first thing of importance is that you will need to check mag setting from the second you remove from box as all the other 7 ht reels can be casted straight from box. i had my first chuck with the mag setting on no 2 which was how it came out of box, nearly blew the reel up. readjusted mag to no 5 then launched it again, perfect, by the end of the session i had the mag down to 3.5. nice mag control fitted which has ratchet fitting so you can judge even in dark which setting you are on as moves in half notch at a time. very smooth to cast when set correctly, this reel is extremely fast with the mags off and although extremely smooth and relatively quiet on the bearing front but if not adjusted correctly will become untameable and by no means novice / user friendly. the general idea with the new magnofuge system is to allow the reel to hit max revs 30000 before the mags come into play, and as the reel slows the mags automaticaly back off. you will be able to hit huge distances with these reels, with the correct technique. very smooth to reel in even under load thanks too the power handle and the extra bearings. to be honest priced at £160 these reels are not cheap and to be honest the abu 6500 premium in my opinion is as easy to use but not quite as smooth, bearing in mind you can buy the 6500 mag for around £99.00. all in all a very well presented high performance high spec mag reel, casts superb , smooth rewind . not sure how robust the cosmetics on this reel will be with the blue and gold detailing, only time will tell. this is just my own personal view and opinion on this reel and other peoples views may differ. i will keep you informed of any other sessions i have this week craig.